Bake your Holiday Goodies with Local Honey! What could Bee Better? 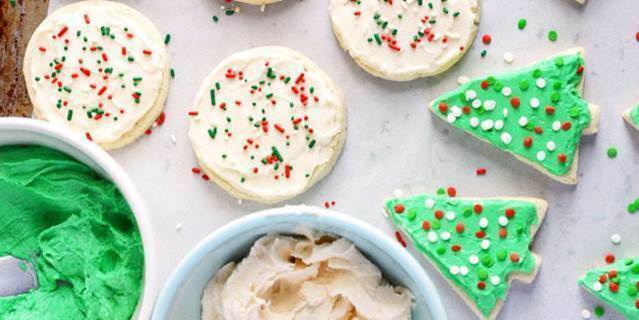 Check out this Delicious Christmas Sugar Cookie Recipe! Have you started your holiday baking? Have you considered recipes made from local honey? Local Hive is natural, raw unfiltered honey – and is truly created by bees as if “it is from your own backyard." 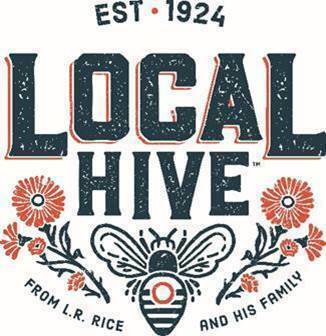 A new label design highlighting new Local Hive™ brand coincides with Rice’s new alliance with PACE, “Pollinator Awareness Through Conservation and Education”, the Butterfly Pavilion’s non-profit global initiative to restore habitats, strengthen populations and reintroduce pollinators into native habitats around the world. This partnership and commitment will be communicated on the back of the new label and will highlight how a portion of proceeds from every bottle sold of Rice’s Honey® will be donated to the PACE initiative to promote and protect the prosperity of pollinators worldwide. Rice’s Honey® has a mission to help promote all pollinators & sustainable bee farms across the country. I was given the chance to review Local Hive Honey that was sourced locally from where I live in Oregon. 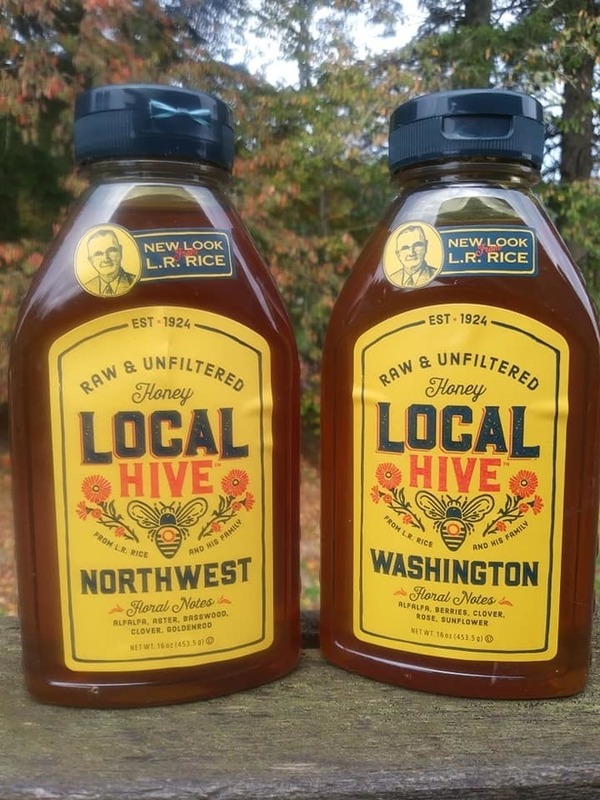 I received a bottle of Northwest and Washington honey. I never really thought about the fact that honey could taste different based on the location from where it was sourced. It all makes so much sense! 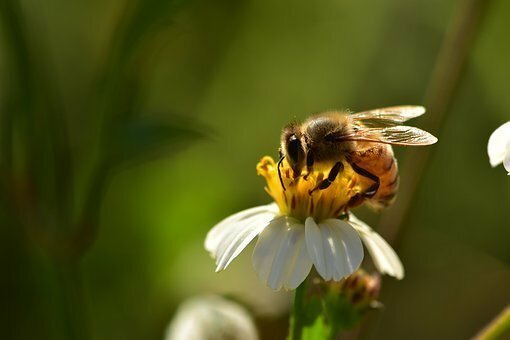 obviously the honeybees gather the pollen from the plants and flowers around them, and the plants and flowers differ in every area. I just never thought about the fact that honey could taste different due to the area it was sourced from. It is just so interesting the way nature works. One of their more complicated flavor profiles, the Northwest honey has a nutty flavor with vanilla notes and a long, strong finish. In the Northwest, the bees gather pollen from Alfalfa, Aster, Basswood, Clover, & Goldenrod. Sprinkled with pollination from the Pacific Northwest, the Washington honey is dark in color with a slightly bitter start and a sweet, molasses-flavored finish. It was made from pollen gathered from Alfalfa, Berries, Clover, Rose, & Sunflower. Both of them differ slightly in taste, and are both delicious. Enter to win! One winner will receive two bottles of Local Hive raw & unfiltered honey sourced from the area of their choice. L.R. Rice founded Rice’s Honey®, headquartered in Greeley, Colorado, in 1924. The company remains committed to its founder’s mission of becoming a leading producer of authentic, high quality, U.S. only raw & unfiltered honey. 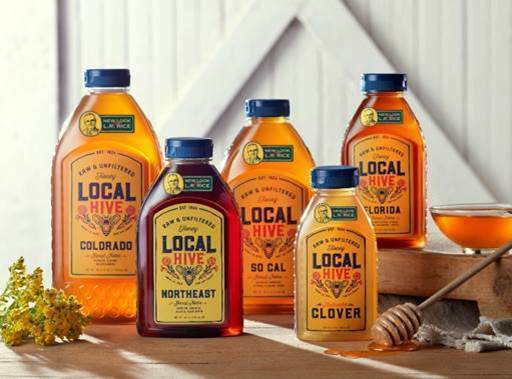 Local Hive™ from Rice’s Honey® has generated brand equity through its commitment of producing premium, high quality, raw and unfiltered honey at affordable prices. Rice’s Honey works with local beekeepers to provide several local, raw & unfiltered honey varieties throughout various states and regions across the U.S. I like to eat honey on a peanut butter sandwich. I use honey in some of my holiday baking. I'd love to try this. I like to make a honey bun cake for the Holidays and I would use this honey as a topping on the cake. I see they see these products at Lowes Food Store where we live. I use honey in marinades. Those cookies look good! I like honey and toast. Great Lakes is the closest for me. I put honey in my tea, we also like it on biscuits or toast. I eat honey with milk. It helps with sickness. I live in Colorado. I use local honey for my allergies, so I don't bake with it because I have heard that decreases the antiallernenic properties. Colorado is closest to me. I would love to try baking with honey in cakes first. I've never baked with it before. I like honey on a toasted bagel! Our family loves honey. We like to eat it on homemade cornbread. I use honey in my raisin bran muffins. I think the closest region to me is New England. I use honey in my tea and my coffee; I bake cookies with it. Generally I use it in place of sugar whenever possible. :-) Thank you. We have switched from processed sugar to using honey for sweetening. And I love a warm piece of toast slathered in honey butter. I make honey glazed shrimp and also use honey in my tea! I would bake some cinnamon and honey muffins and also a honey cake. I would use the honey on my toast and in my tea. Honey is amazing. Florida is closest to us. My Favorite thing to eat honey with is butter and toast!! I make honey butter and toast the bread - YUM! Also - Peanut butter and honey sandwiches go great with vegetable soup!